With most of our television networks failing considerably at providing us with adequate local entertainment content, the internet has become the sure bet for anyone craving decent local entertainment on demand. It has also provided a more egalitarian system for filmmakers, especially those young ones who are yet to be considered established to reach their audience with their works. Although it is true that funding has always been one of the strongest ailments stifling the growth of our film industry, nothing should be strong enough to stop the passion associated with this form of art called filmmaking. With as little as a decent DSLR camera, some lighting and sound equipment nothing stops the drive of a passionate young/old filmmaker telling any story that he/she wants to. 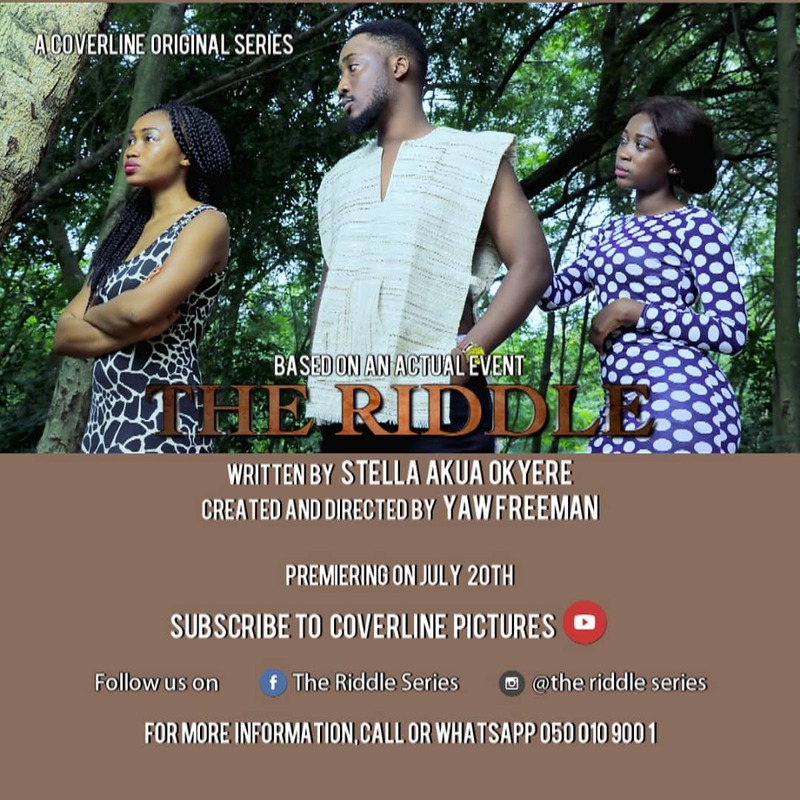 The concept of “web series” has not been fully accepted and exploited here in Ghana, but it is on the rise. As long as there are always new filmmakers having the basic skills, equipment’s and the passion for film, there would always be the urgency to tell stories and the urgency to have these stories seen by many. The average web series takes the approach of short film and runs between 2 to 10 minutes (or more oink rare cases) per episode, hence providing an easily digestible slice of entertainment without having to take up so much of the viewer’s time. The main approach of filmmakers in our part of the world has always been to use humor ladened plots to keep viewers engaged. Webseries’ haven’t been any different either. The main motifs have been to always entertain whiles sometimes subtly educating and informing. The open nature of the internet provides a no holds barred atmosphere for daring film makers (mostly young and enthusiastic) to be very expressive on the gnarliest of subjects. Usually, these are subjects that resound well with the youth that otherwise would be sidelined or overlooked by the gatekeepers of our film space. Also, the power to experiment lies totally in the hands of the filmmaker here and is only limited by funding as you are allowed to try your hands on the most extreme and complicated themes anyone can imagine. Fortunately, most of our everyday social media platforms are great avenues for exhibiting our work. These platforms are set up to put full control in the hands of creators and might only need some form or marketing and promotion to reach a much wider audience. But if utilized well, they can be very beneficial to the filmmaker in getting his work seen. Most importantly you build a following that could help put you a higher pedestal when an opportunity presents itself. For your work to be worth it and even to sustain creativity, there needs to be some recompense. No matter how small a production is, it still involves some money and it is only fair that in the commercial sense the filmmaker is able to recoup some of that money at least. You don’t need to be a big production studio to profit from your work. The advent of technology provides indie producers almost equal opportunities as big and established studios to profit their work. For instance, YouTube’s AdSense monetization is available to almost everyone anywhere in the world. But it comes with some work that can be a bit of an extra challenge. But the bottom line is providing content that grows your subscriber base and viewership consistently. There are also currently some pay-per-view platforms like MTN Shortz and Zylofon Cash that ensure that content creators earn something from their works. Although there are no set-in stone guarantees that you would make a fortune out of these platforms in the short term it’s a dice worth rolling. There are also some long-term benefits that include, filmmakers growing their fan base and also possibly attracting investors and funding with their self-funded projects that are likely to be seen by anyone in any part of the world. There is also the prospect of leveraging subscriber numbers to secure product placements and direct advertisements. As we slowly and steadily transition to a higher patronage of subscription based digital VOD (video on demand) platforms in the next few years, web series are the way to go. VOD is the future if not already the present for our creatives. Like everything else, it’s a culture that needs to be built and sustained and one of the ways to make that feasible is to embrace the “era of The Web Series”.